Over the last two years I’ve lost count of how many conversations I’ve had with people about their unhappiness, dissatisfaction, and feelings of low fulfilment in their careers. These are people, like me, who are privileged enough to dream of a career in which they can thrive; they want to feel excited, challenged and energised by their work. The optimist in me believes that we shouldn’t have to settle for a career that’s beige. We’re entitled to enjoy what we do. After all, work is a huge part of our lives. While we are not solely defined by what we do, it’s a significant factor that makes up who we are. When I made a career change, that decision was sparked by a thought that popped into my mind one day: surely this can’t be it. While I could objectively say that my job at the time was a great one with variety, kudos and responsibility, subjectively speaking, it wasn’t great for me. What came next was 18 months of research into career change guidance within books, podcasts, websites, communities, events and courses. I became fixated on consuming more content in this area, and the more I learnt, the more interested I became in the field of helping people to make a career change. After a while, it struck me how unnecessarily hard and time-consuming it was to find this information, given that there’s an established market of people who want to make a career change. So I felt I had a duty to share what I had learnt. I didn’t want anyone else spending 18 months doing that same work, before feeling informed or confident enough to make a career change. 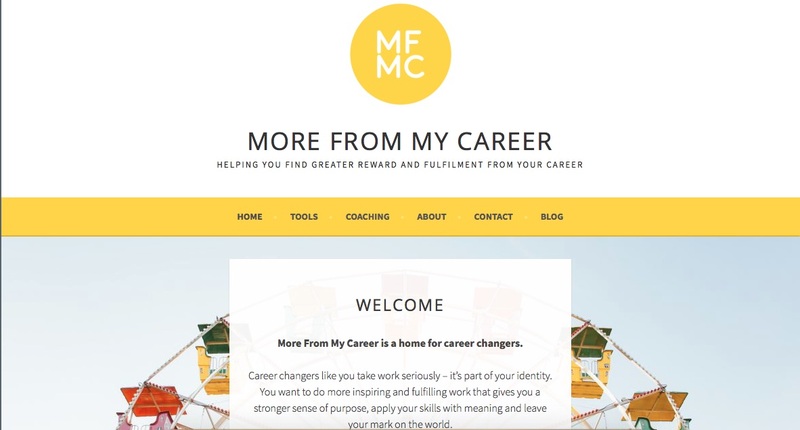 What originally started as a book idea later became a website idea: to house recommended career change tools in one place, and to provide external, unbiased support for career changers. It’s the website I wanted to access two years ago when I started out on my change journey. This is just the start and there are plans to build on the site in the coming months. In the meantime, any thoughts, comments or feedback are welcomed.